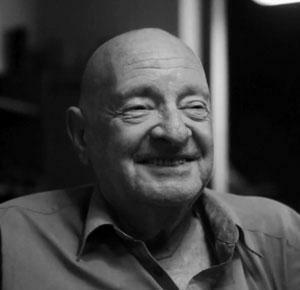 AKIVA “AKI” Orr was a revolutionary activist and writer, founding member of the Israeli Socialist Organization (Matzpen), an enchanting raconteur, and a unique, larger-than-life character. His parents emigrated with him, their only child, in 1934 from his birthplace, Berlin, to Palestine. In his youth—spent in Tel Aviv in an apolitical petty bourgeois milieu—he was a keen swimmer and won the 200-meter breaststroke youth championship in 1946 and 1947. In 1948 he was conscripted to the Israeli navy, but was not involved in hostilities during his service. (The navy played a minor role in the 1947–49 war.) Demobilized in 1950, he joined the Israeli merchant marine as a deckhand, eventually rising to become third mate. A major turning point in his life was the great seamen’s strike of 1951, a seminal episode in Israel’s class struggle. The strike was directed against the Histadrut, the Zionist trade union federation, which refused to recognize the independent committee elected by an overwhelming majority of the seamen and rejected their demand to run their own union free from bureaucratic diktat. The Histadrut, whose petty bureaucrat nominees were crushingly defeated in the election, was also co-owner (together with the Jewish Agency) of the main Israeli shipping company, Zim. Aki’s ship, the Tel-Aviv, moored in Haifa Harbor, was occupied by its striking crew. In a pitched battle with large forces of police and Histadrut thugs, Aki was threatened by a police officer wielding a drawn handgun. This set him thinking and he became politicized. In the autumn of 1953, Aki went to Jerusalem to study mathematics and physics at the Hebrew University, where he and I were classmates as well as members of the Jerusalem branch of the Socialist Left Party (SLP), a short-lived split from Mapam led by the demagogue Moshe Sneh, a blatant Stalinist and (temporarily) covert Zionist. We became close friends and remained in contact when Aki interrupted his studies after his first year and went back to sea for a couple of years. 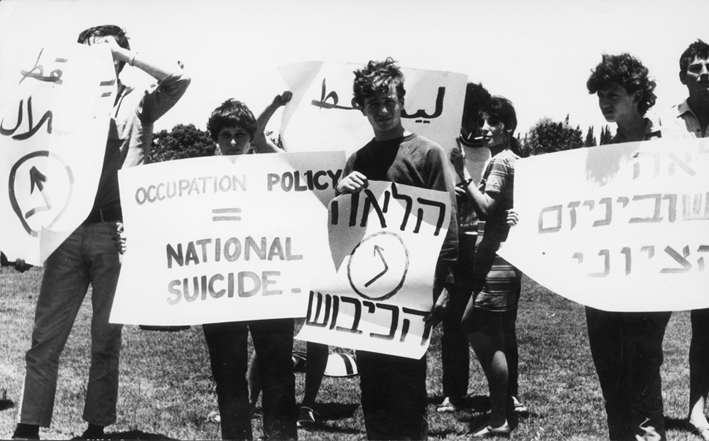 By the time he resumed his studies, the SLP had dissolved and most of its members joined the Israeli Communist Party (ICP). So Aki and I were now members of the student cell of the ICP’s Jerusalem branch. The two great simultaneous international crises in the autumn of 1956 affected us in contradictory ways. Like many in the international “official” Communist movement, we were shocked by the brutal suppression of the Hungarian revolution, and our trust in the ICP leadership—already undermined earlier that year following Khrushchev’s famous not-so-secret speech—was seriously eroded. At the same time, on the much closer issue of the tripartite (Israeli-French-British) aggression against Egypt known as the Suez War, we fully supported the laudable antiwar position of the ICP, which of course echoed the policy of the USSR, as in everything else. In the course of writing the book, we became convinced that the ICP’s critique of Zionism was insufficiently radical. The ICP critique had focused on Zionism’s ties with imperialism and Israel’s hostility to the USSR in the Cold War, but—unlike the Palestine Communist Party long before 1948—it avoided confronting Zionism as a settler-colonizing project. The book represented a shift from the ICP’s stance. Yet, it was not a complete break: for example, we depicted British imperialism as the main culprit and instigator of the 1948 war, and Israel as part victim. The book was in fact a halfway house between our old ICP orthodoxy and the more thorough analysis of Zionism we were to adopt in Matzpen in the mid-1960s. Meanwhile, our criticism of the USSR’s policies and official Communism grew in response to events. In 1958, following the revolution that overthrew the Iraqi monarchy, we witnessed how the Iraqi Communist Party, which emerged from years of illegality as an almost unrivalled mass party and could have pushed events in a radical left direction, was held back by “advice” from the Soviet Union. 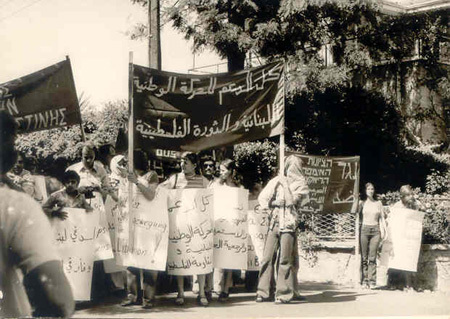 Closer to home, in 1959 poor immigrants, mostly from North Africa, in the Wadi Salib neighborhood of downtown Haifa, demonstrated against their exploitation and discrimination. 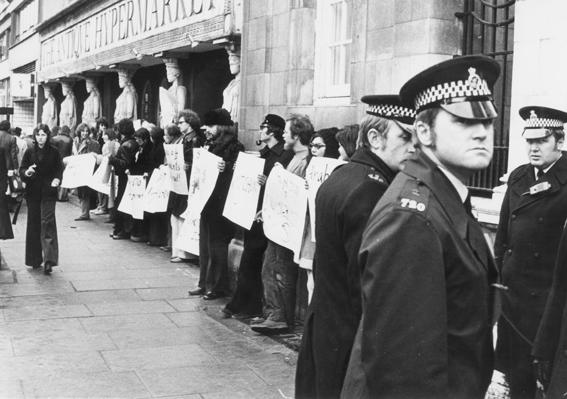 There were clashes with the police. The ICP, instead of supporting the protests, joined other parties in calling for calm. These and similar events persuaded us that the USSR, the official Communist movement, and its local franchise, the ICP, were not revolutionary forces but were concerned primarily with defending the interests of the USSR as a big power. Another object of our criticism was the ICP leadership’s refusal to discuss the party’s history, which was regarded as a great secret. Reading Trotsky’s My Life and History of the Russian Revolution (in excellent Hebrew translations dating from the 1930s) also affected our thinking. By 1962 we had made contact with two comrades in the Tel Aviv ICP branch (Oded Pilavsky and Yirmiyahu Kaplan) and several ICP supporters and started regular discussions in a spirit critical of official Communism. These discussions had to be held in secret, since the ICP did not allow unauthorized meetings, especially between members of different branches. We did not have immediate plans for forming a faction or a new organization, but our hand was forced by a leak. We faced immediate expulsion. This is how the Israeli Socialist Organization came into being. The first issue of our monthly journal Matzpen appeared in November 1962. Aki contributed an article about the lessons of October 1917 to this first issue. His articles on diverse topics continued to appear regularly in Matzpen even after he moved to London in the summer of 1964, intending to pursue postgraduate studies in the general theory of relativity at King’s College. His contributions to Matzpen in Hebrew are being compiled at matzpen.org. In London he devoted much time and energy to educating the Left on the true nature of Zionism. He also sought out and befriended several old-timers of the revolutionary socialist movement. Among his many friends were the Austrian-born poet Erich Fried (who later introduced him to the German student leader Rudi Dutschke), the veteran revolutionary Rosa Meyer-Leviné, and a special friend, the West Indian Marxist C. L. R. James. At the same time he took great interest in the youth counterculture of the 1960s and formed many contacts with its representatives. Following the June 1967 Six Day War in which Israel captured the West Bank, Gaza, Sinai, and the Golan Heights, Aki intensified his activities in educating the Far Left about Zionism and the Israeli–Palestinian conflict. He was a much sought-after speaker and addressed numerous meetings. In 1968, he joined the libertarian group Solidarity led by Chris Pallis (a.k.a., Maurice Brinton) and distanced himself from Marxism. He was then greatly influenced by Cornelius Castoriadis. At the same time he continued his intensive activity as a speaker and writer on Zionism and Israel. In 1990, Aki returned to Israel and continued to speak and write, devoting much energy to propagating a form of anarchism which he called “Autonarchy,” advocating entirely direct decision-making without the mediation of any elected delegates or representatives. His publications are too numerous to list here. They can be found on akiorrbooks.com and autonarchy.org.il. Aki died suddenly at his home in the village of Tnuvot, Israel. He is survived by his daughter Sharon, and two grandsons Max and Theo.